The 2018 La Vuelta a Espana will run from August 25 to September 16 and include nine summit finishes. MADRID (AFP) — This year’s Vuelta a Espana is set to be decided in the mountains with nine summit finishes included in the route unveiled on Saturday. 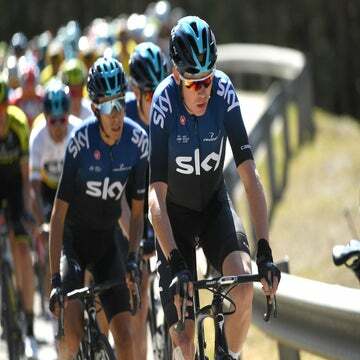 The race will start with an 8km individual time trial in the southern port city of Malaga on August 25 and will spend eight days in the south of Spain before journeying through the mountainous terrain close to the Atlantic coast and heading into the Pyrenees for a decisive final stretch. The race will conclude in the capital Madrid on Sunday, September 16. “We want the mountains to be key in deciding the Vuelta,” said La Vuelta director Javier Guillen. 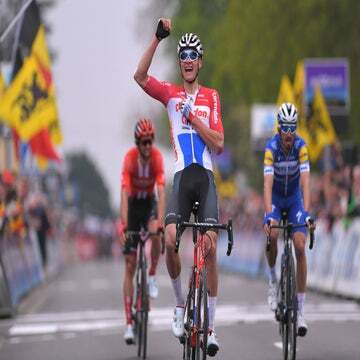 Last year’s race was won by Chris Froome, as he became just the third rider in history to win the Vuelta a Espana and Tour de France in the same year. But it was revealed last month that Froome — the first British winner of the race — had given an adverse doping test during the Vuelta. Froome was found to have twice the permissible amount of asthma medication Salbutamol in his system and could yet be stripped of his title. If the 32-year-old does take part, he will see summit finishes at Les Praeres in Asturias and at Balcon de Bizkaia in the Basque Country for the first time in the history of the race. Though a start at La Vuelta is unlikely for the Briton, as is already slated to attempt the Giro-Tour double in 2018. The Vuelta will also return to Lagos de Covadonga in the Picos de Europa, where Colombian Nairo Quintana took the leader’s red jersey in 2016 before holding it all the way to the end. After the first stage, the only other time trial will be on the 16th stage, a 32.7km effort from Santillana del Mar to Torrelavega. That could be seen as a measure taken to prevent a rider like Froome from wrapping up overall victory early on, although Froome won the only individual time trial last year and did the same in 2016 when he finished second to Quintana. The overall winner may not be decided until the penultimate stage in Andorra, before riders head to Madrid for the traditional finish. The final stage is only 105.8km but finishes atop the Col de la Gallina.